Ald. Eleanor Revelle (7th) at a City Council equity training. Revelle and other members of the Housing, Homelessness and Human Relations Commission discussed the Dempster Street affordable housing development at a Thursday meeting. Housing Opportunities for Women will proceed with its Dempster Street affordable housing development despite the city’s decision to reject the organization’s funding proposal, said Savannah Clement, Evanston’s housing policy and planning analyst. At a Housing, Homelessness and Human Relations Commission meeting Thursday, Clement said the organization sought 10 percent of its funding from the city. The rest of the development would be supported by the Illinois Housing Development Authority. The proposed building is a three-story, 16-unit property for affordable housing at 2215 Dempster St. in the 2nd Ward. It would take over a roughly 20,000 square foot area, which currently holds a single-family home and a vacant lot. The building, which is expected to be completed in early 2019, will be composed of one- and two-bedroom apartments. Those units will be filled from the Regional Housing Initiative and State Referral Network waitlists, so Evanston residents are not guaranteed housing. 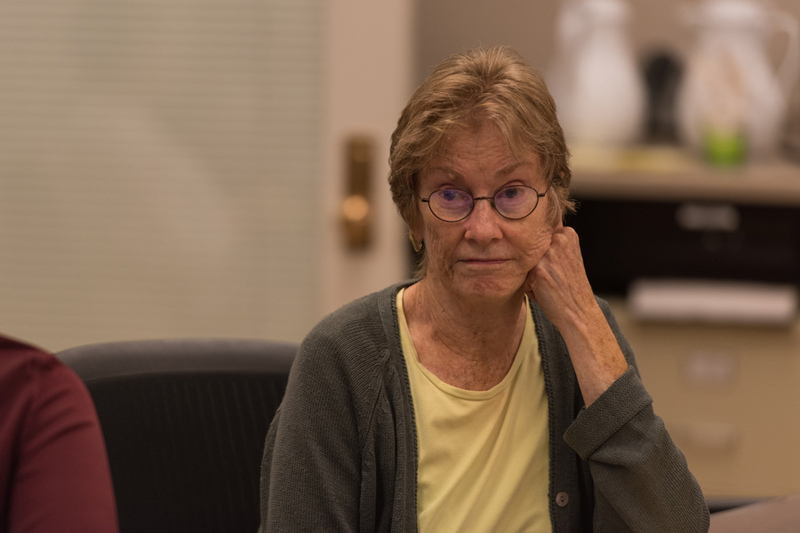 But commission chair Ellen Cushing said she believes City Council — which rejected a different affordable housing proposal at Howard Street and Chicago Avenue in July — doesn’t have a proper framework to consider such proposals. Cushing said City Council failed to recognize the significance of this proposal by lumping it together with other proposals at its Sept. 25 meeting. Ald. Eleanor Revelle (7th) said the commission will have to educate City Council on affordable housing to get its proposals accepted. Clement said the proposal will return to the city’s Design and Project Review Committee for a final review and permit approval, and then it will be “good to go” regardless of City Council’s decision not to fund a $550,000 budget gap. The DAPR committee had previously voted unanimously to approve the preliminary review of the building in an August meeting with residents. But many residents are still concerned about the building’s location, size and impact on the surrounding neighborhood. Different city departments have been looking at complaints about congestion, Cushing said. Clement said HOW has also been reaching out to individuals in the neighborhood. “If they do move the project forward, which I think they will regardless of funding … I do think that they want to try to build those relationships in the community and be good neighbors,” she said.